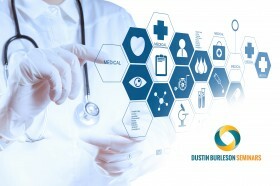 The Burleson Files | What Does the Future of Digital Health Look Like? Although we’re a long way off from printing complex organs via bioengineering, digital health promises to change the way patients interact with doctors, giving them more control and providing researchers and healthcare leaders greater ability to identify broad trends. Andrew Ward provides an interesting look at the future of digital health with several trends that you should pay attention to in your own practice. Patients are wearing digital health monitors, pedometers, smart watches with the ability to monitor heart rate and activity levels. What will this flood of data provide to researchers, insurance companies, doctors, and businesses? Ward looks at how patients want more control and better information from their healthcare providers. The line between patient and doctor will continue to blur with new health tech startups that allow patients to monitor their own diabetes and get prescriptions from telemedicine apps that virtually connect doctor and patient. How will your practice be affected by digital health trends and telemedicine. When will orthodontics transition from seeing patients live in a clinical setting, adjusting brackets and wires, versus monitoring patients remotely with home-delivered clear aligners? Stay tuned both here and via Burleson Seminars for our assessment of the state of orthodontics and where our profession is headed. Exciting changes and opportunities are on the horizon.